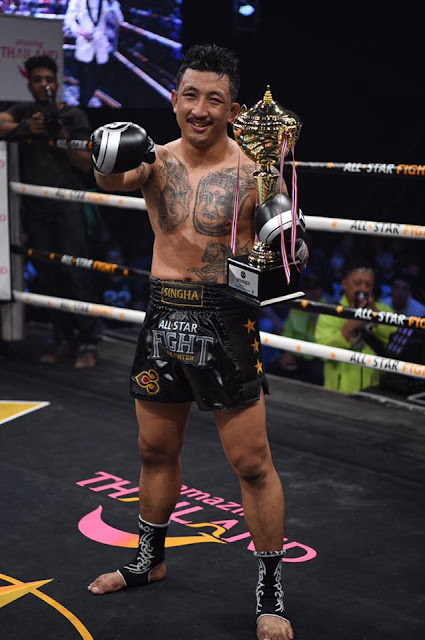 Really happy for Coach Pakorn's second wins with the "All-Star Fight 2" this past Sunday. 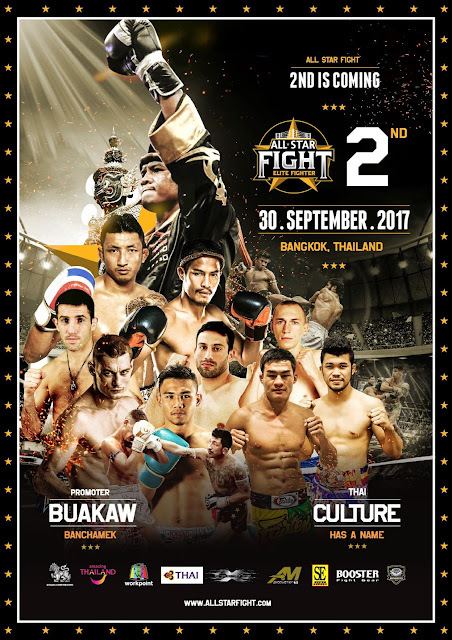 Because the first "All-Star Fight" was a huge success, Buakaw Banchamek, the promoter and fighter, arranged "All-Star Fight 2" on September 30 four weeks after the first installment. 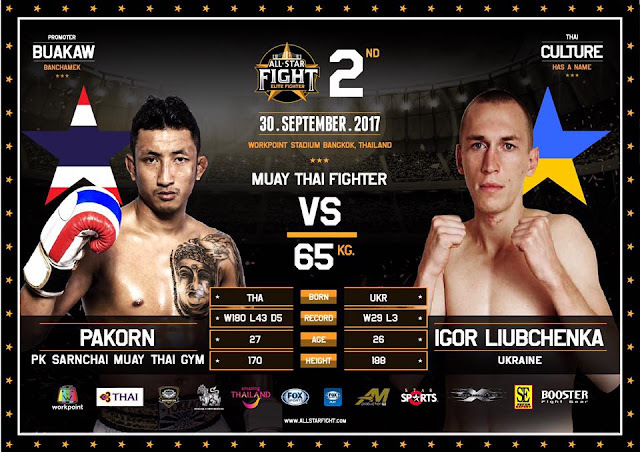 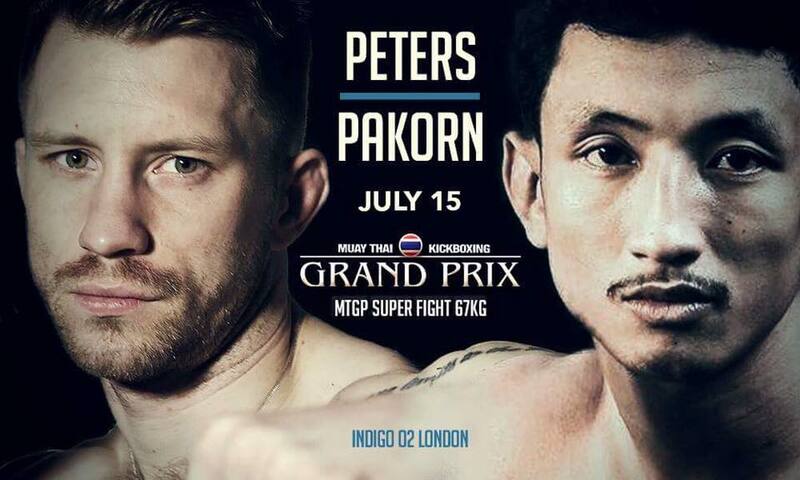 Coach Pakorn was invited back to fight a Ukraine fighter, Igor Liubchenka, who is 18 centimeters taller. 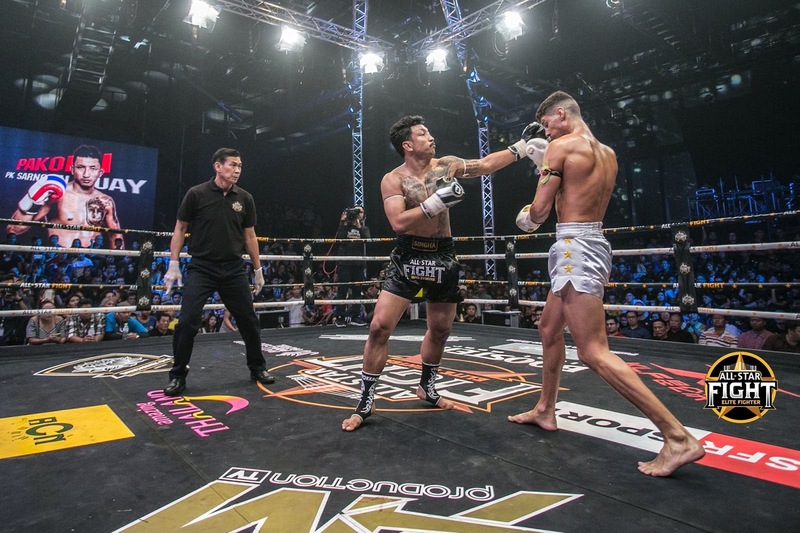 Despite the huge disparity in height, Coach Pakorn was able to control the fight range well in the first round. 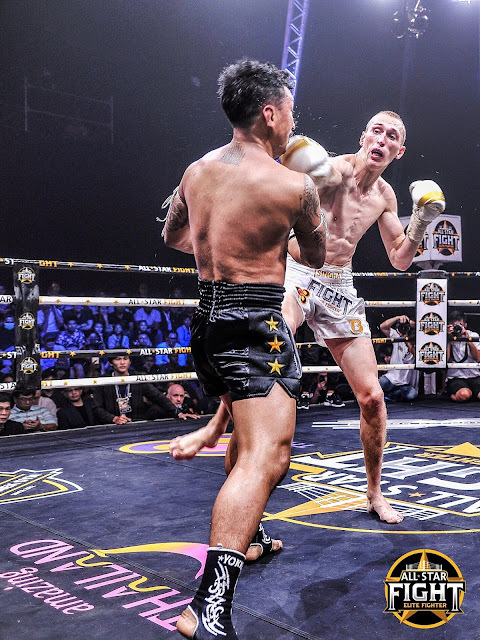 He repeatedly utilized his low kicks to attack Igor's lead leg. Toward the end of the round, Igor was limping and had to switch stance to avoid further damage to his left leg. Based on my own sparring experience with Coach Pakorn is his rear low kick is amazingly fast when coupled with punches and fakes makes his low kicks really hard to block. Even when the opponent can block his rear low kicks with his own leg, Coach Pakorn told me:” I would just try to kick through the opponent's blocking leg anyway.” Blocking few of Coach Pakorn’s low kicks, due to the pain around the calf area, even the toughest opponents don't want to block his kicks anymore or would start limping with that leg. 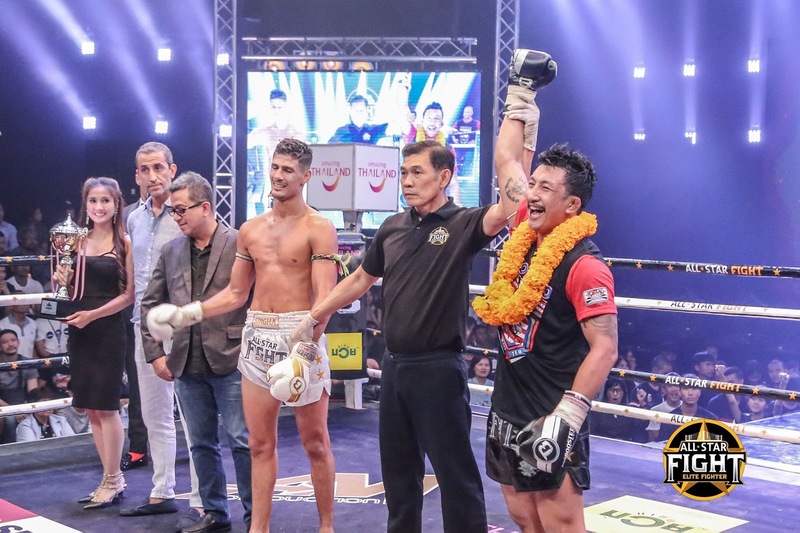 Note: To learn more about Coach Pakorn please check out following article. 賀Pakorn教練在All-Star Fight (泰拳全明星賽) 中獲勝！Coach Pakorn won at the All-Star Fight! My Muay Thai coach Pakorn won his latest fight by decision in the inaugural All-Star Fight which was held in Bangkok last Sunday (8/20). 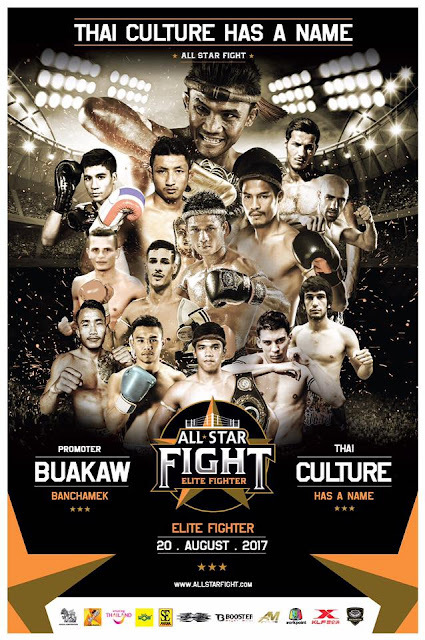 The All-Star Fight had eight fights with 16 world-class fighters; including Buakaw Banchamek who was also the promoter for the event. 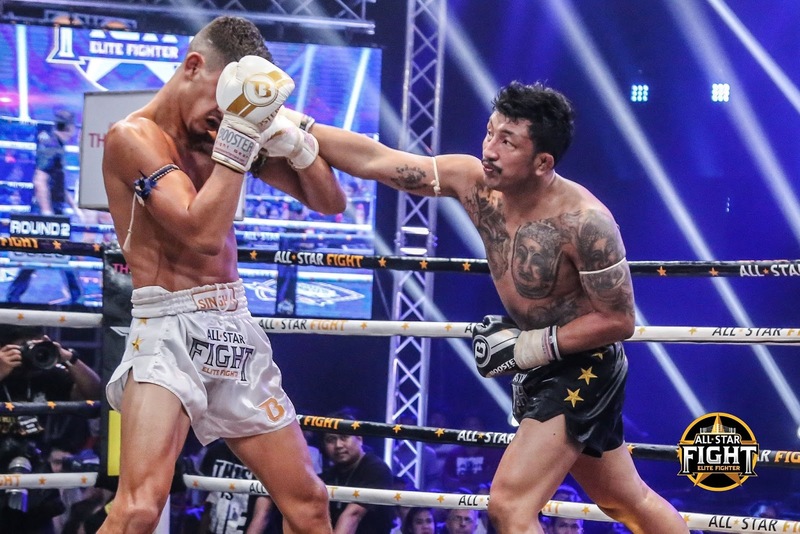 Coach Pakorn and Buakaw’s fights were both spectacular. 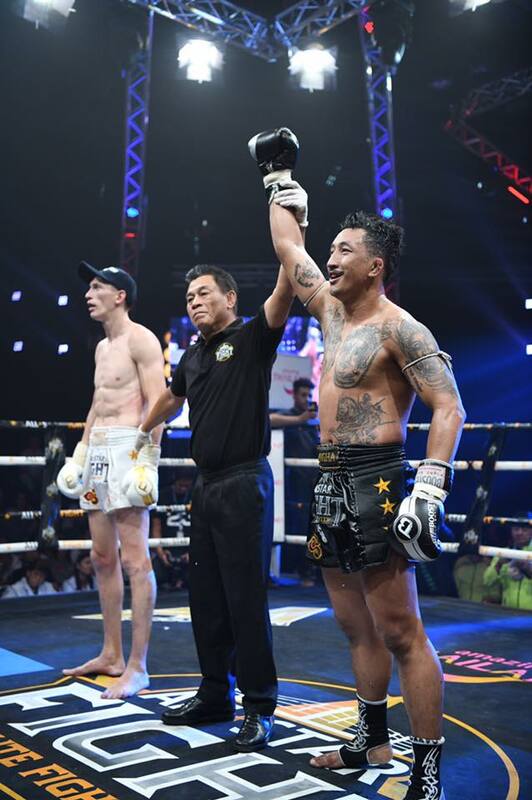 Coach Pakorn dominated the whole fight against and was awarded with a win by decision. 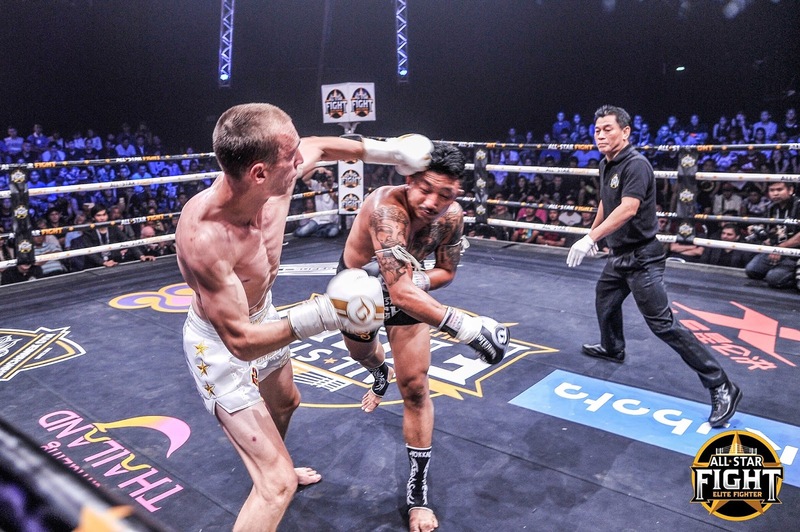 Buakaw won his fight by KO with a left hook in the first round. 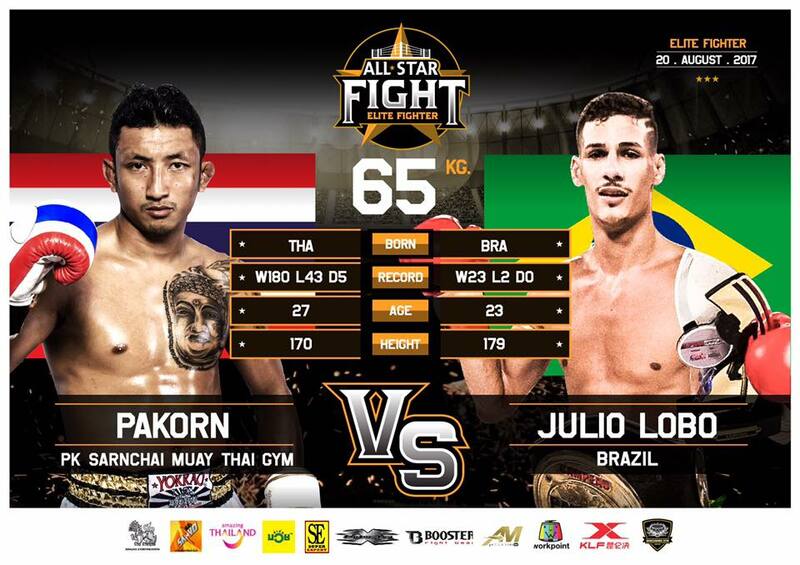 Coach Pakorn’s opponent is Julio Lobo from Brazil. 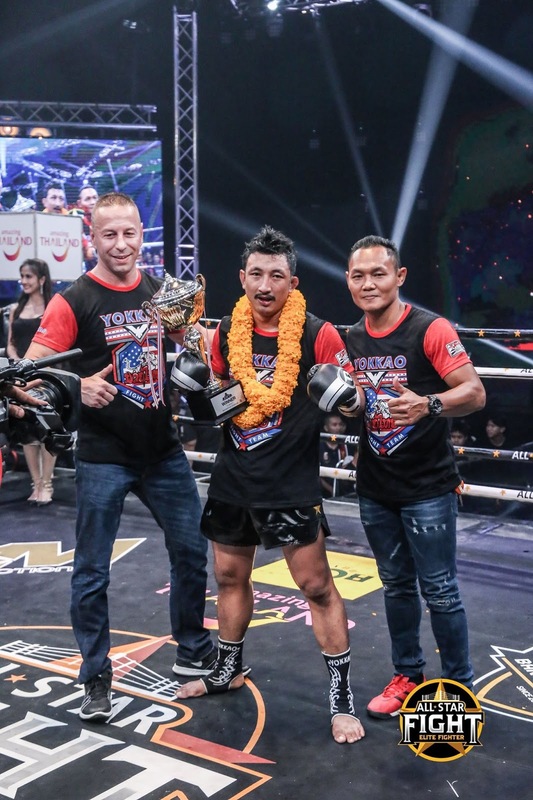 Coach Pakorn and his Yokkoa teammate Saenchai. 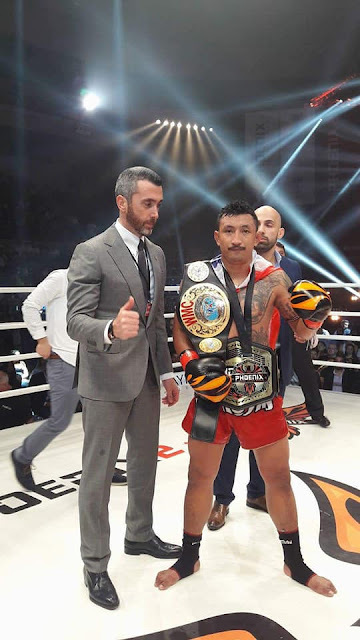 恭喜Pakorn教練贏得兩條金腰帶！Two new championship belts for Coach Pakorn! 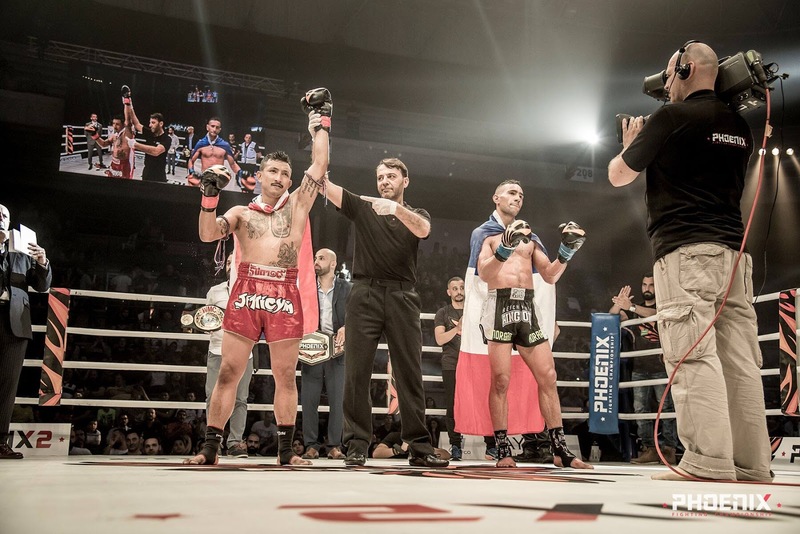 Congratulations to Coach Pakorn for defeating Morgan Adrar from France last Saturday to win two new championship belts; World Muaythai Council (WMC) 67kgs. world title and Phoenix Championship. Coach Pakorn is a rare breed of a world-class professional Muay Thai fighter and a fantastic coach at the same time. 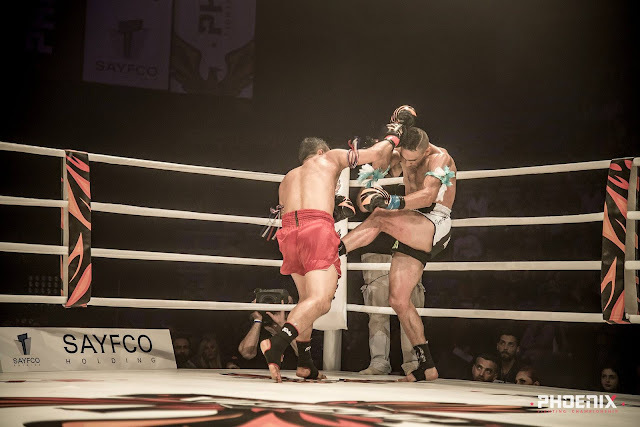 I learned a lot from him. 圖片來源Photography credit: Phoenix Championship, Pakorn, Muay Thai Kickboxing Grand Prix Ltd.
Pakorn教練的下一場比賽是Muay Thai Grand Prix在倫敦對上英國冠軍Charlie Peters，2017年7月15日。Coach Pakorn’s next fight is in Muay Thai Kickboxing Grand Prix, London, against Charlie Peters, July 15th, 2017.